After it was announced that Asia Bibi -- a Christian women who had spent nearly a decade on death row for allegedly "blaspheming" against Islam -- had been acquitted, Muslims rioted throughout early November; in one march, more than 11,000 Muslims demanded her instant and public hanging. A leading Muslim party announced that the judges who had acquitted her deserved death. The lawyer who represented her fled the nation due to many death threats. — Pakistan. While under arrest, he asked police to allow him to "kill the infidels... otherwise you will become infidels like them." Authorities later said the man had mental problems and was under the influence of drugs. The Christians replied that the media always present such Muslims who attack churches and Christians as suffering from mental illnesses. — Egypt. "[A]t least 350 Christian owned properties have illegally been seized. The government has stopped only 50 of these properties from being sold... Iraqi Christians have long complained about the disproportionate targeting of their properties for illegal seizures. These seizures often occur in waves which follow violent incidents of persecution." — Iraq. 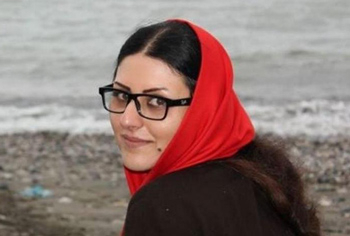 "[T]he government... protect the aggressors and leave the victims mercilessly helpless... The devastation in terms of massacre of lives and destruction of property is unimaginable." — Rev. Dacholom Datiri, President of the Church of Christ in Nigeria. 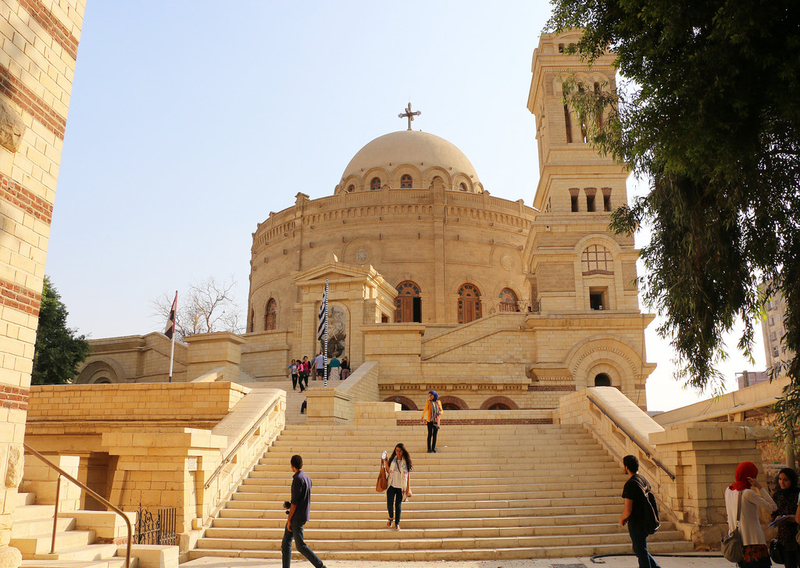 Egypt: On November 2, heavily armed Islamic terrorists ambushed and massacred Christians returning home after visiting the ancient St. Samuel Monastery in Minya. Seven pilgrims—including a 12-year-old girl and a 15-year-old boy—were shot to death. More than 20 others were left injured, with bullet wounds or shards of broken glass from the buses' windows. "I pray for the victims, pilgrims killed just because they were Christian," Pope Francis said after the attack. Pictures posted on social media revealed "bodies soaked in blood and distorted faces of men and women." In one video posted, a man can be heard crying, "The gunshot got you in the head, my boy!" and repeating, "What a loss!" One of the female survivors, shot in the legs, recalls that an explosion of gunfire suddenly opened on all sides of their bus; by the time she could register what was happening, she saw pieces of her brother-in-law's brain splattered on her lap. Another woman, after realizing that her husband and daughter had been killed, begged the jihadis to kill her, too. "No," they said, "you stay and suffer over your husband and daughter." Then they shot her in the ankles. In a separate report, another survivor said the terrorists told her, "We will kill the men and children and leave you to live the rest of your lives in misery." Coptic Bishop Anba Makarios of Minya confirmed that, "The pilgrims were killed in such a savage and sadistic way, as if they were enemy combatants, when they were just simple Christians come to get a blessing from a monastery." The attack was almost a duplicate of another that occurred on May 26, 2017: then, extremist Muslim gunmen ambushed buses full of Christians returning from the same monastery. Twenty-eight Christians—ten of whom were children, including two girls, aged two and four—were massacred. "Who can accept these incidents?" asked another Christian. "Every day, there are many incidents harming Christians. We must leave our land and get out of here. I'm so exhausted... it's so dull and dark these days." Central African Republic: A militant Islamic group raided a Catholic church compound and massacred dozens of Christians, including two priests, in the small town of Alindao, on November 15. According to the report, the group, which consists of "mainly Muslim and Fulani militia, stormed the cathedral and the nearby refugee camp hosting more than 26,000 people displaced following previous attacks in the town and its surrounding villages." Pictures and testimonials "revealed the scale of the devastation as dozens of bodies littered the ground, mixed with the burned debris of tents ... Some of the victims were burned beyond recognition, while others had been shot or dismembered with machetes. Bishop Juan Jose Aguirre Muños provided more details: "The men of Ali Darassa assaulted, looted and set fire to the displaced camp and killed women and children; they burned down the cathedral where they killed the two priests." Immediately afterwards, the terrorists "allowed groups of young Muslims of the western part to enter the eastern part of Alindao and looted the bishop's residence and burned the presbytery and the centre of Caritas." The same Christian town suffered from a similar attack on May 8, 2017; then, between 130 and several hundred "Christian townspeople and villagers" were butchered. Due to these ongoing attacks, on November 16 the Central African Episcopal Conference issued a statement, saying that the Catholic Church "has become the target of armed groups in Central Africa." In 2018, five Catholic priests were killed by the Muslim militants in various attacks. Democratic Republic of Congo: An Islamic militant group slaughtered seven Christians during a late night raid on their village. In the raid, which began on November 10 and continued into the early morning hours of November 11, three children, aged between eight and 13, were among the slain, as well as two pastors, and the daughter of one of them. The terrorists also kidnapped 13 Christians, children among them. "At about 10pm they [Muslim militants] got into the pastor's house and attacked his daughter with machetes," a local church leader explained. "When she started screaming for help, her father came out ... to rescue her. They shot him dead, and then shot her dead too. One of his grandchildren remains missing." "I was in my house when they attacked," another survivor recalled. "From my window I could hear the attackers discussing that the area where they operate belongs to the Muslims, and not to Christians, and that every Christian found in it is an enemy." Uganda: A Muslim man poisoned and killed his friend for apostatizing to Christianity. After Abdul Hamza converted, his wife "threatened him that leaving Islam would attract grievous measures from their family," explained his pastor, the Rev. Canon Kainja. Although he was ostracized from the Muslim community, some Muslims still remained on friendly terms with him. "One evening, Abdul Hamza and his friends went out to the local market to have some tea and snacks," continues Kainja. "Not suspecting anything, he sipped his tea, amidst catching up [on] the days' occurrences. He immediately complained of pain in the stomach followed by vomiting. I was informed about his sudden sickness and asked my fellow pastor, Rev. John Murabyo, to help me take Hamza to the hospital. He succumbed to the stomach pain and vomiting, which the doctor later confirmed was food poisoning." "Everybody in the family was shocked by the conversion of Hamza and we were left with no option other than letting him leave and settle elsewhere because we could not bear the shame. I was pained a lot, but tolerant. Thoughts of killing him never crossed my mind. His wife was so upset, even contemplating a divorce. Later on, Hamza was poisoned and died at the hospital." "His wife did not mourn him," adds Kainja. "A day after laying to rest Hamza, she left the matrimonial home and their two young boys and got married off to Abdul's friend, who is suspected of poisoning him." His orphaned sons currently live with the Rev. Canon Kainja. In a separate but similar incident in Uganda, a Muslim man who converted to Christianity died from wounds sustained during a severe beating on the orders of his father. The following account concerning the story of Juma is made up of quotes from various interviewed family members: In April 2018, "He informed his wife that he ... felt that he needed to put his trust in Christ. A few days later, he stopped going to the mosque and began attending Bible studies and church services. Juma's father was very upset after learning about Juma's new faith. He called all of us and led the meeting that excommunicated Juma, his wife, and his child." Eventually Juma "went to live in another district far away from home. During this time, he was not able to take care of the wife and young Rehema [his daughter]. Eventually, his wife informed him that she was not ready to suffer for a decision she did not make, and thus left him and Rehema. Until now, nobody knows where she disappeared to." Soon thereafter, Juma's "father called some relatives and friends and went to engage Juma. A discussion that was to be amicable turned chaotic when Juma's father started cursing him and asking the group to beat him. He suffered several injuries in the head and the spine. They also demolished his house and took Rehema back to her grandmother.... He later succumbed to the injuries" and died. His orphaned daughter, Rehema, "has been struggling to pay for her school fees and uniform. She is also lacking quality shoes and clothing." Described as "distraught and lonely," she said "I miss my father so much. I also want to become a Christian, but I fear my grandmother and other family members. I don't know where my mama is and I hope that she is fine and she will come back home soon." Kenya: After a Muslim father, mother, and two children embraced Christianity on November 4, "We were given a day to either recant the Christian faith or face the sword, as well as lose all the privileges the Muslims had given to us," Abdul Abuk-Bakr, the father, explained. "It reached the mosque at Sera that I had converted to Christ, and that very day I received threatening messages that the Muslims were planning to kill all of us and take away both the rented house and the two acres of land on which we had planted food crops—maize and beans." "We have decided to take our two children, ages 4 and 5, to a good Samaritan's home. Though they are missing our love at their tender age, their security is more important.... We are at crossroads, not knowing what to do—no home, no food, life-threatening environment and children away from us. At times we are missing peace. My wife has been having sleepless nights thinking about the children. We really need prayers to remain in the Christian faith and the peace that comes from God." "Ten of the Christian converts were later released after reportedly being tortured into recanting their faith. Pastor Tajdeen, who is also a convert from Islam but refused to deny Christ, was held for several more days and has since been released. All eleven were required to report daily to authorities, but have gone into hiding for their safety. Under Islamic sharia law, Muslims who abandon their religion face severe punishment. According to all schools of sharia, men face the death penalty.... Sudan is one of the few countries in the world today where people have been executed for apostasy.... In 2014, a Christian Sudanese woman was sentenced to death for apostasy. Meriam Yahya Ibrahim was raised as a Christian by her mother, but because her estranged father was a Muslim, authorities claimed she was a Muslim by birth and was therefore guilty of apostasy. An international outcry led to her eventual release....."
Pakistan: After it was announced that Asia Bibi—a Christian women who had spent nearly a decade on death row for allegedly "blaspheming" against Islam—had been acquitted, Muslims rioted throughout early November; in one march, more than 11,000 Muslims demanded her instant and public hanging. A leading Muslim party announced that the judges who had acquitted her deserved death. The lawyer who represented her fled the nation due to many death threats. Fearing a backlash from the UK's large Muslim community, Theresa May blocked the long tormented Christian woman's asylum application, "despite UK playing host to [Muslim] hijackers, extremists and rapists," read one report headline. Last reported, Asia Bibi was still in custody and apart from her family on Christmas Day. "The Muslims came in the company of their Sheikhs and disrupted our open-air market preaching as the police watched. We were then arrested and taken to Soronko district police headquarters for questioning. We were charged with causing public disturbance and inciting violence, offenses [to which] we responded not guilty. The police locked us up from Saturday to Monday so as to investigate the matter. We were not causing any violence. We are evangelists known across eastern Uganda for... answering questions on Islam and Christianity. When the Sheikhs fail to answer questions, they usually turn their disappointment to us because we know how to handle the Quran and the Bible. We also hold public debates with them and they hate us because, through our ministry, many Muslims have converted to Christianity." The Christians were released "with conditions: not to hold and discuss the Quran." Last reported, they were still getting threatening text messages: "The struggle is not yet over, we will teach you [Christians] a lesson," read one. Another read, "Know that disrespecting the Koran means a punishable crime, which is death." Earlier in June, Pastor Tom was stoned by Muslims while preaching the Gospel in Kuwait. "The injury almost blinded me, but [I was saved] thanks to my small local church that contributed some little money for me to seek treatment." The four Christians remain in custody today on the charges of "disturbing religious harmony." If they are found guilty in court, they could face up to five years in a Malaysian prison. This is the third report of foreigners or Malay nations being arrested for Christian activities in recent weeks. Earlier, five Nigerians were arrest[ed] for Christian activities followed by six locals for similar activities. In Malaysia, it is illegal to convert from Islam to Christianity and therefore it is against the law to evangelize in Malaysia. Indonesia: A Muslim organization accused Grace Natalie, a Christian and founder of the Indonesian Solidarity Party, of blasphemy, after she told reporters that "The implementation of religion-based bylaws [a reference to Sharia] victimize women and I have become a victim as well for criticizing such regulations." The Indonesian Muslim Workers' Brotherhood was so offended by this remark that it lodged a blasphemy complaint: "Her comments appeared hostile [to Islam] and was considered hate speech against religion," a representative of the Islamic group said. Egypt: A little over a week after the November 2 slaughter of seven Christians traveling from a monastery (see above), a 22-year-old Muslim man "holding a Koran and sharp tool," to quote an eyewitness, entered the St. George Church in Cairo during Sunday worship service on November 11. While shouting Islamic slogans including "Allahu Akbar!" ("Allah is greater! "), he wounded two Christian men, one of whom he struck on the head with his sharp object. Other witnesses report they "heard him say that he wanted to kill them because they were Christians." Police came and restrained the invader. While under arrest, he asked police to allow him to "kill the infidels... otherwise you will become infidels like them." Authorities later said the man had mental problems and was under the influence of drugs. The Christians replied that the media always present such Muslims who attack churches and Christians as suffering from mental illnesses. "The media uses words which don't reveal the truth," Ehad, a local Christian said. "Now we have discovered that ... he was holding a Koran and sharp tool [while] injuring some people on their heads. The media's role is to reveal the reality and not to hide information to make the Copt[ic Christians] calm down." Another local Christian, Majeed, added, "Lies and lies and lies... I'm sure that this criminal will not be punished." "Mentally ill, what?! How the media manipulates us!" exclaimed another Christian, Hani. Nigeria: Muslim youths are suspected of torching Christian school on the night of November 21. "[T] the school was completely burnt down leaving only rubbles," states the report. Fortunately, "the security man at the school however escaped death... [E]verything was completely razed, especially books and other learning materials." Algeria: Authorities closed down another Christian church, which was first opened in 2015 and had about 200 members, on November 14. They said the church did not have the required permission from the National Committee for Non-Muslim Worship. According to the report, "The repression of Algerian churches has intensified over the past year, with several closed for vague reasons despite their membership with the officially recognized Protestant Church of Algeria (EPA)." This is "part of a systematic strategy by the authorities to increase restrictions on Christians.... A decree in 2006 stipulates that permission must be obtained before a building is used for non-Muslim worship. However, the authorities have failed to respond to almost all applications." Iraq: "[A]t least 350 Christian owned properties have illegally been seized," an investigative report found. "The government has stopped only 50 of these properties from being sold." Although illegal seizures have happened elsewhere in Iraq, the "problem primarily exists in the Nineveh Plains," where most Iraqi Christians are located. "Iraqi Christians have long complained about the disproportionate targeting of their properties for illegal seizures. These seizures often occur in waves which follow violent incidents of persecution." "Christians do face a number of challenges when living in areas controlled by the KRG. Peshmerga militias, affiliated with the KRG, did not protect Christians when ISIS advanced through the Nineveh Plains. Christians living in the KRG repeatedly report harassment from the broader Muslim community, especially during Islamic holidays such as Ramadan. The recent extortion attempts against Ankawa Christians also highlights [sic] another problem: while charges are brought against the defendants, they do not necessarily reflect the nature of the compliant." "The narrative has been that these people are killed by unknown gunmen, or suspected herdsmen, or that there have been farmer-herders clashes. All these are deceptive narratives deliberately framed to conceal the truth and continue to perpetrate the evil." "The proficiency and mode of operation in all of these attacks, as testified by the surviving victims, leaves us in no doubt of the complicity of the military being used as hired mercenaries by the Fulani militias. On this, we are disappointed, and sadly so, that the government has not delivered on her constitutional responsibility of protecting lives and property... The implication is that they protect the aggressors and leave the victims mercilessly helpless... The devastation in terms of massacre of lives and destruction of property is unimaginable. Pastors and members in their thousands have been killed in cold blood, either shot dead or slaughtered like animals or burned to death. Houses and businesses have been burned or looted and farmlands have been destroyed... And yet, despite the huge government intervention in that area, very little relief has come to COCIN [Church of Christ in Nigeria] and her members, if any. We are aware that a lot of government intervention in terms of relief material has gone to the [Muslim-majority] northeast. Unfortunately, our members in that zone have been left out of the distribution." "We would have liked Prince Charles to visit Jos and hear from Christians affected by the violence directly. But now we have been robbed of an opportunity to create awareness about our travails with a prominent world figure." "Many lives have been lost," added Dr. Soja Bewarang, the chairman of the Plateau state chapter of the Christian Association of Nigeria, "[along with many] properties, church buildings have been destroyed. Many People have been displaced. People are living in fear, not knowing when death and destruction will visit their community." While not all, or even most, Muslims are involved, persecution of Christians by extremists is growing. The report posits that such persecution is not random but rather systematic, and takes place irrespective of language, ethnicity, or location.